ESPERA is most commonly understood as a program of community lending in Central America and Mexico. In reality, it is a partnership with seven local women’s organizations working in a holistic way to strengthen self-esteem and economic security of women, and to increase the organizations’ capacity to do this work. The women’s lives are hard; they are affected by the history of war in their countries, machismo domestic violence, the threat of gangs, as well as weak economies and poverty. We know that lasting financial resources are a partial solution to these giant systemic issues, which is why ESPERA has always intended to support the women holistically. In November, we took a first step toward intentionally addressing another part of the system through the ESPERA program when we supported a pilot workshop focused on mental/emotional health. Karen Hurley of Cincinnati, Ohio just finished serving 6 years on the Mary’s Pence board, and she was present for this very special first emotional health workshop. She shares her reflections here. What a privilege it was to attend the emotional health workshop that Mary’s Pence sponsored for 50 ESPERA woman in La Palma, El Salvador, November 17 and 18, 2017. Participants were ESPERA group members from El Salvador mostly, but six women from Nicaragua and one woman from Honduras also came. Leaders from these same groups would meet the following weekend for their own emotional health workshop with the same facilitator and other ESPERA business. When Gilda invited me to attend, I did not know what to expect. I was already in El Salvador for a Spanish language immersion for three weeks in Suchitoto and this workshop was to be held the last weekend before I returned home. “Emotional health” could mean so many things—and I had no idea what it would mean to the women who would attend. The facilitator hired for the workshop was an astute psychologist who was able to get the group tuned in to what she called “self-care”—believing that you are valuable and worthy of time for self-reflection and re-creation. She challenged the women’s assumption that they must always put work and their husbands/partners and children first. Through a routine of movement exercises she loosened everyone up before the participants broke into small groups for discussion. These five small groups remained together for each breakout section so they could build trust with each other and the group leader over time together. The objective of the workshop was explained at the opening session on Friday evening—each woman was to set three goals before the end of the workshop that she wanted to be held accountable for: a goal to take a step toward self-care, a goal to improve family relationships, and a goal to expand available resources, which could improve their businesses. As women reported back to the large group after each breakout session, I quickly realized why this workshop was so important. Many said it was the first time they had slept away from home. Some struggled to get permission from their husbands to attend. Almost everyone indicated that the importance of taking care of their emotional health was a new idea—a liberating idea, but also a scary one for many. As the workshop proceeded, women were encouraged to share with each other what was going on in their lives, the personal pain they were carrying. The reports back from the breakouts were filled with stories of the pain of sexual abuse, of being undervalued by others and failing to see themselves as valuable. There were many tears and hugs and understanding silences. The facilitator lead a meaningful ritual – a hike to a nearby river, where everyone was encouraged to reflect on the workshop and leave in the river any painful experiences that had surfaced, any negative emotions she might have been feeling so that she could return home a freer woman who was better able to care for herself. 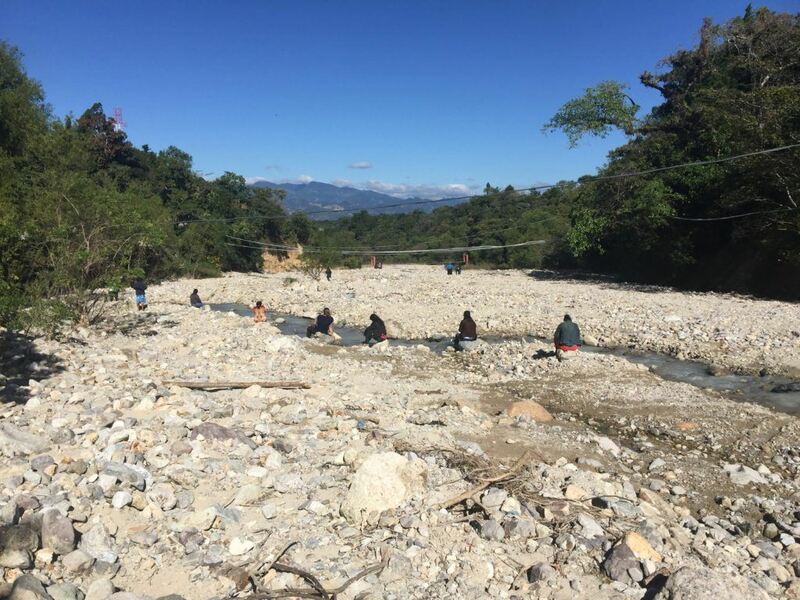 The women were invited to pick up a stone from the river bank to take home as a reminder of what they hoped for themselves as a result of this experience. In the final session, after goals had been written, each woman was challenged to identify one person she would talk to about her goals for the coming year, someone she would trust to hold her accountable for what she had written. 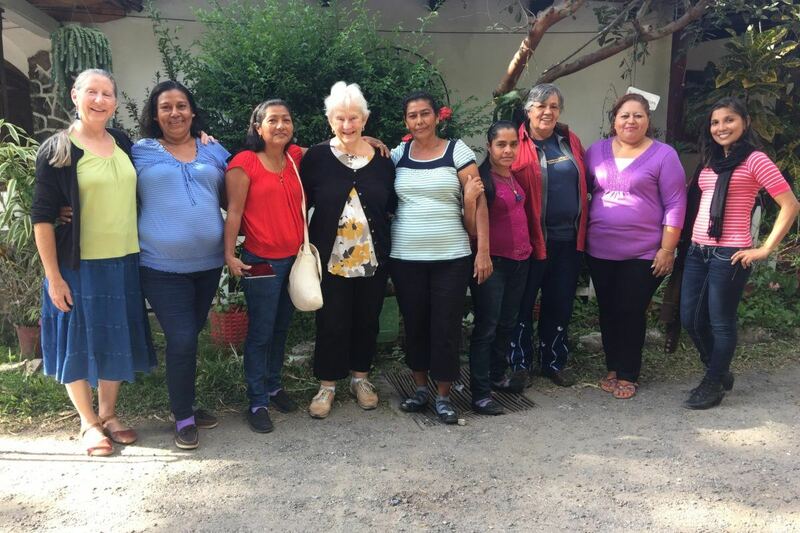 As a longtime board member, I was surprised—and proud—to realize that Mary’ Pence was providing this kind of needed emotional education and support to ESPERA women. Part of that need flows from the continuing emotional fallout from the war as well as the patriarchy and machismo so ingrained in their culture today. 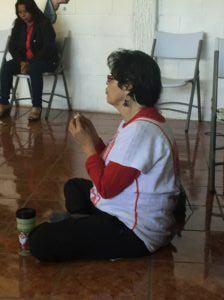 Much emotional ground was covered in a short period in La Palma by women who also covered a lot of ground traveling considerable distances from within El Salvador and beyond to get to the workshop. But La Palma was just a first step as Mary’s Pence ponders how to address the emotional needs of ESPERA women. We are excited by the reception this effort has received from the participants and leaders of this pilot workshop. We are currently planning ways to build this effort, and will be seeking funding to further support the women’s emotional health as part of ESPERA’s holistic model of accompaniment. Check out these ways to help Mary’s Pence or contact us if you have specific interest in helping us support ESPERA women’s emotional and mental health.